Every day, students across the city are doing good deeds to help each other, their teachers, their friends and their families. Whether it’s picking up a dropped book or talking to the “new kid” during lunch in the cafeteria, small acts of kindness add up in a big way to make Dearborn schools a friendly, welcoming place. From kindergarten through high school, Dearborn students know they can make a positive impact on the lives of others and attend classes in a success-oriented, bully-free environment. 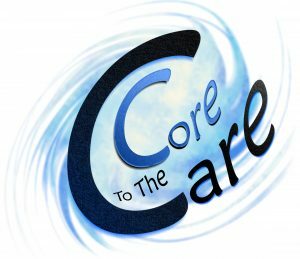 On April 23, 2018 the Dearborn Public Schools will highlight the great things going on across our District during the first-ever “Care to the Core Day”. Every Dearborn public school will hold some type of activity that demonstrates what they are doing to improve the culture and climate in their school and across the community. Some schools may hold an anti-bullying awareness assembly, others may do an activity around one of our many positive behavior programs such as Leader in Me, Restorative Practice, PBIS, Core Values or anything that improves student relationships or minimizes bullying behavior. Each school will select the type of event they would like to do to highlight what takes place in their building. A master schedule of events is available so that parents, community members, business owners, city officials and others can plan on stopping by a Dearborn Public School to attend one or more of the events during the day in order to see first-hand, what Dearborn schools are doing to promote a positive environment that nurtures student success.